To mark the centenary of the end of World War I, Cheshire West and Chester Council is encouraging schools and community groups to grow a Victory Garden. 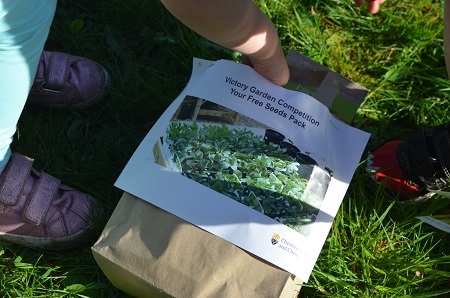 Over 20 schools, from across the borough and some five community groups have signed up and are receiving their free seeds this week, but there are still some packets available. The Council’s Director of Place Operations, Maria Byrne said: “The competition is a great way for schools, community groups and allotment associations to get involved in marking the centenary and creating a real community feel about the creation of a vegetable garden. The few remaining free seeds will be issued on a first come first serve basis.